This is where it all began for me. 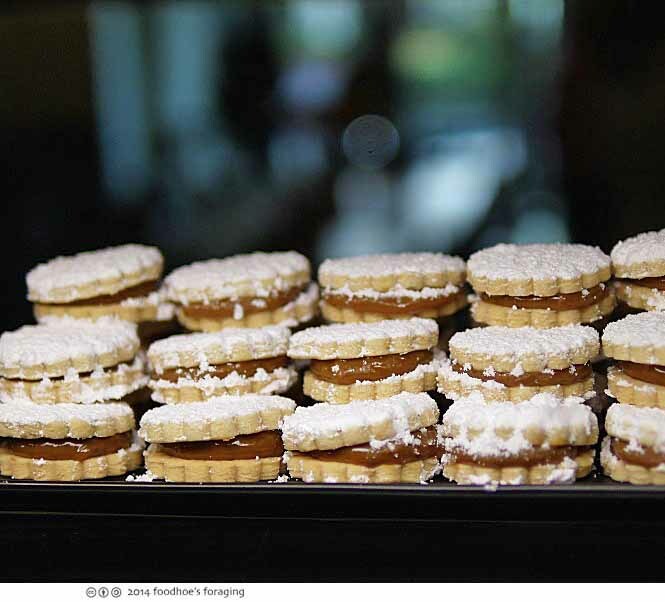 The Alfajores are the stuff that dreams are made of – buttery, delicate and crumbly shortbread cookies filled with a rich layer of dulce de leche and sprinkled with powdered sugar. Years ago I sampled this cookie at one of the local street food festivals and one bite completely bewitched my tastebuds and captivated my attention, which is saying a lot if you have ever wandered through said festivals! These heavenly cookies are made by Guisell Osorio, the owner and chef of Sabores del Sur (Flavors from the South), who opened her cafe inWalnut Creek last week. Not to worry, if you can’t make it out to the Creek, you can get your cookie fix at one of the locations listed here. 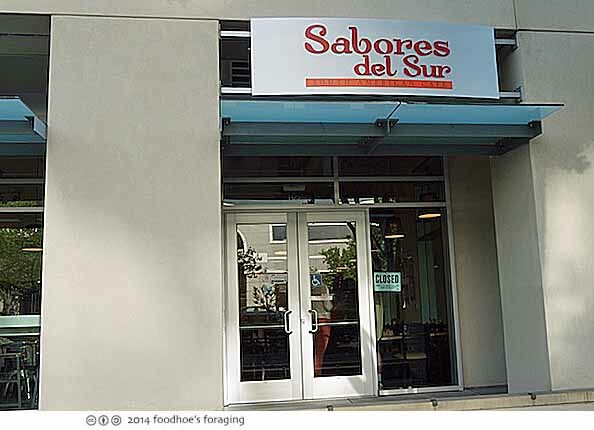 As an avowed Alfajores addict, I was very happy to hear that Sabores del Sur was just two blocks from my office! 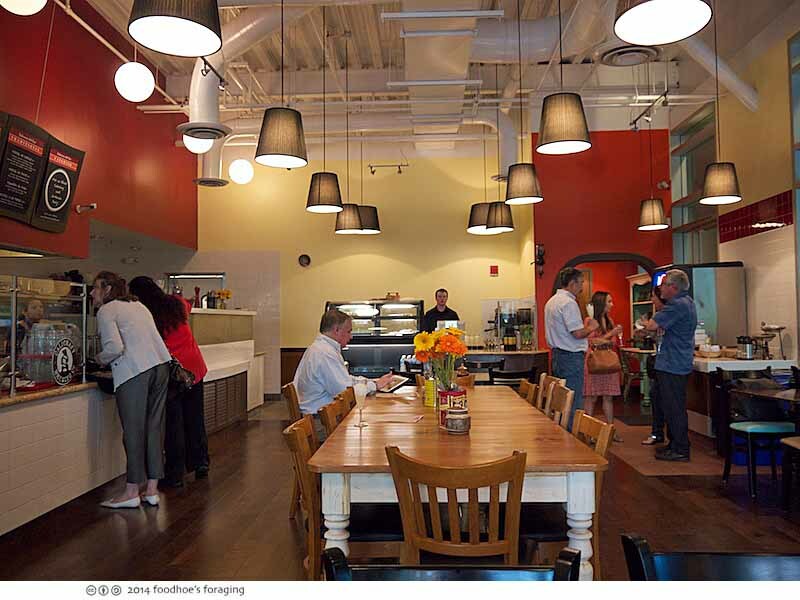 Chef Guisell has been dazzling tastebuds at local farmer’s markets at her Espresso bar with her signature dishes that are bursting with the familiar warm flavors of South American cuisine ( I got that from the website, I love that description). They take great pride in ensuring each dish is “made with love,” a philosophy Chef Guisell inherited while cooking with her grandmother during her childhood in Chile. The interior has been meticulously remodeled with warm colors which make it feel cozy and welcoming, although I hope they will have outdoor seating one day to take advantage of the balmy weather of coco county. 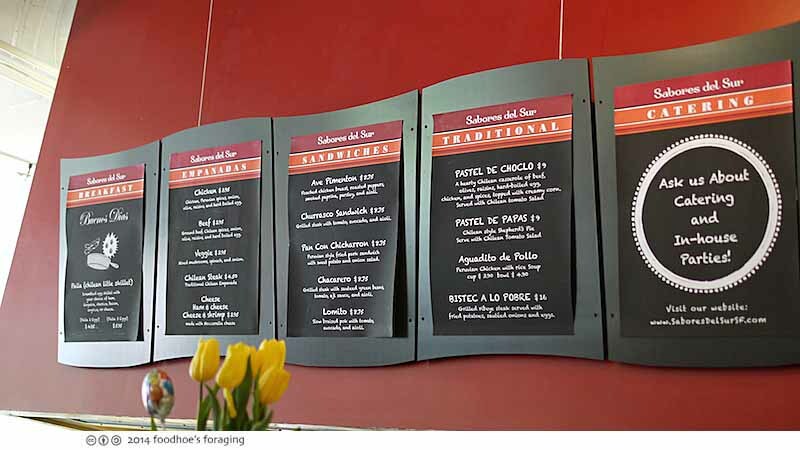 The menu offers a breakfast skillet dish of eggs, baked goods, a variety of empanadas, sandwiches and some traditional plates, including a Peruvian shepherds pie. Pan con Chicharron ($8.75), filled with Peruvian style fried pork, sweet potato and onion salad is liberally dosed with the garlicky house made aioli. 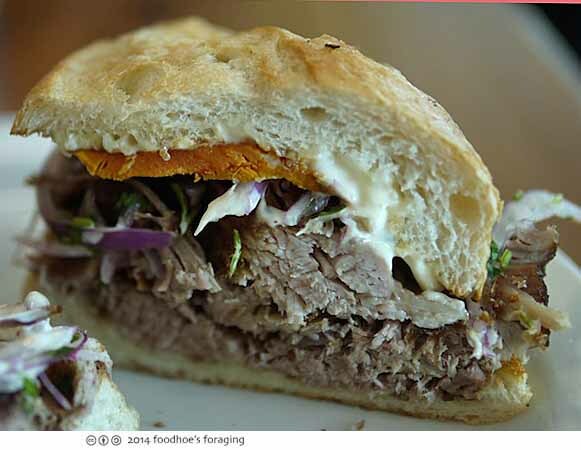 This was my favorite, bursting with rich and wonderful flavors – and that pork! 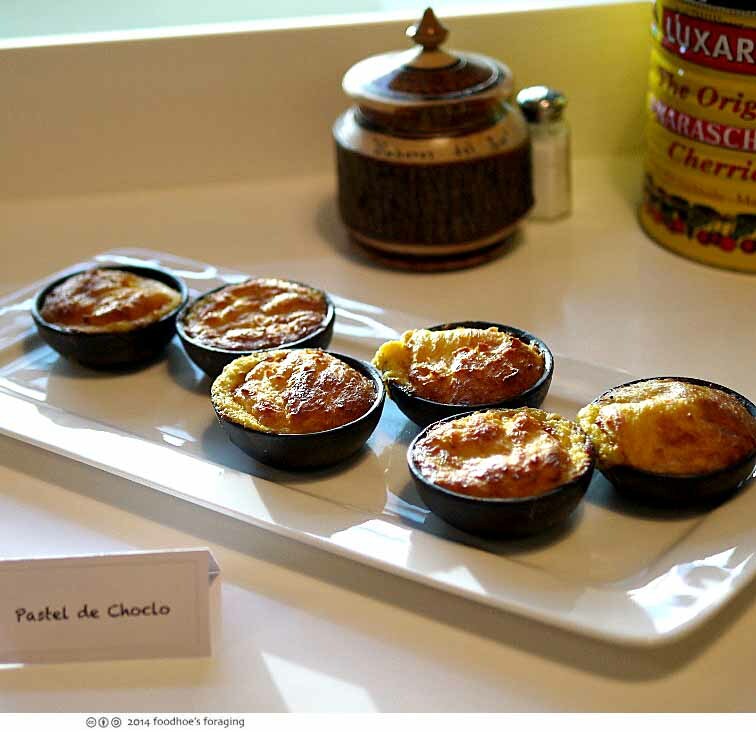 Tiny Pastel de Choclo, Chilean Shepherd’s Pie with Beef and Yellow Corn were served at a preview party. Everyone swooned when they took their first bite of this dish, which tantalizes your tastebuds with the sweetness of the creamy cornmeal and the savory meat filling which is made with beef, olive, raisins, hard cooked egg, chicken and spices. The regular portion is served in the same size bowl as the soup (in the photo below this), which should be quite a hearty portion. 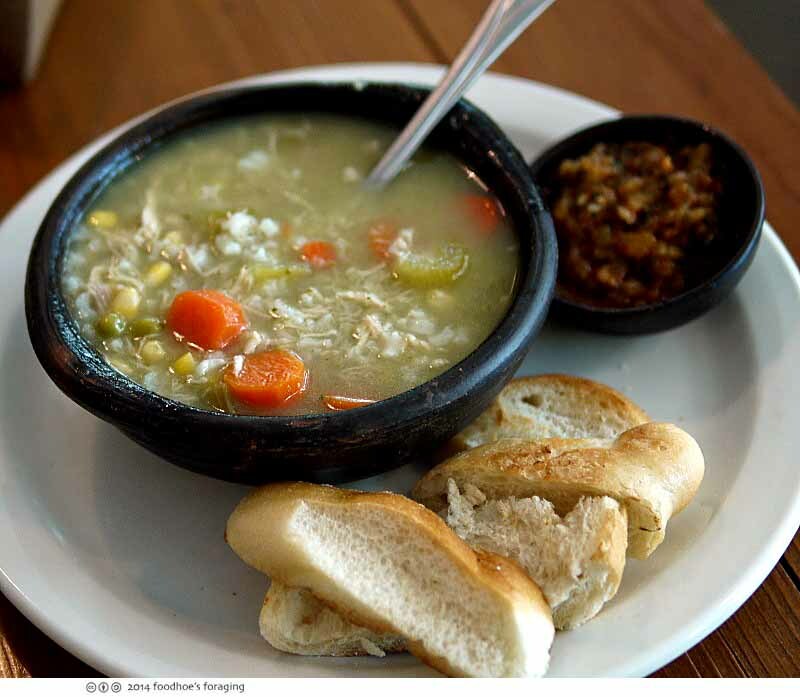 Aguadito de Pollo ($4.90), Peruvian chicken soup, soothing and mild made with rice. 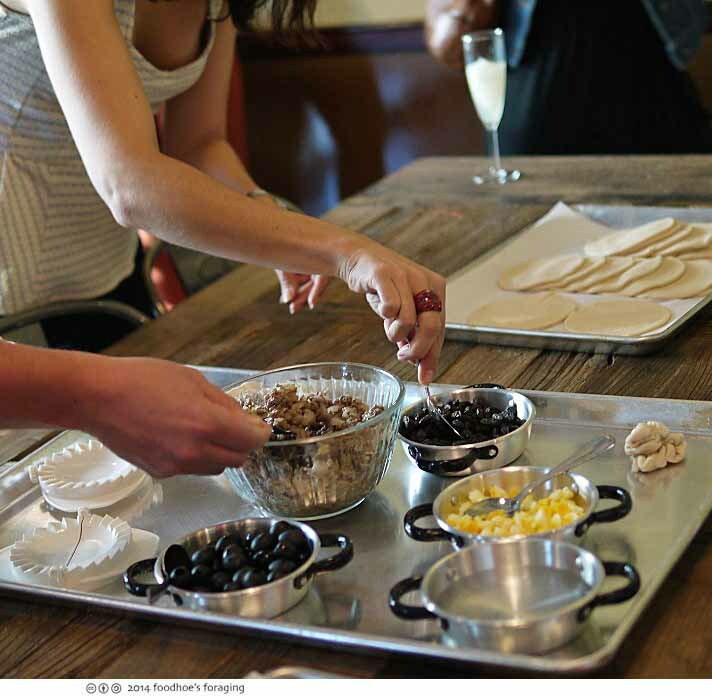 At the preview dinner, we all got the opportunity to make our own empanadas, which are turnovers filled with savory roast chicken, raisins, olives, and hard cooked egg. The signature dish, Sabores del Sur Empanadas ($3.95) are served with a tomato salad that is quite spicy, as in – I ran to refill my water – spicy. 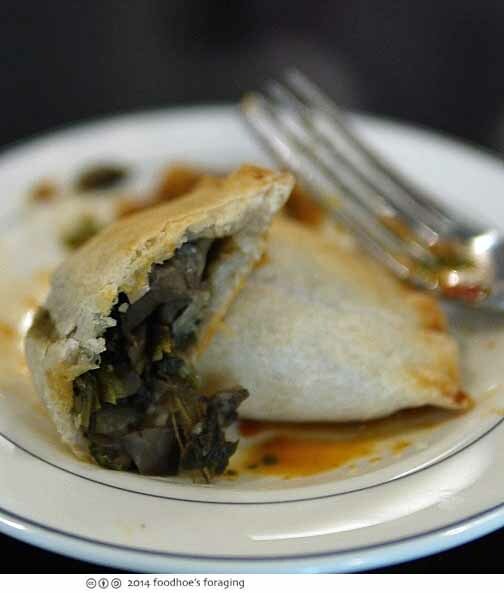 The vegetarian empanada is filled with mushroom, spinach and onion. 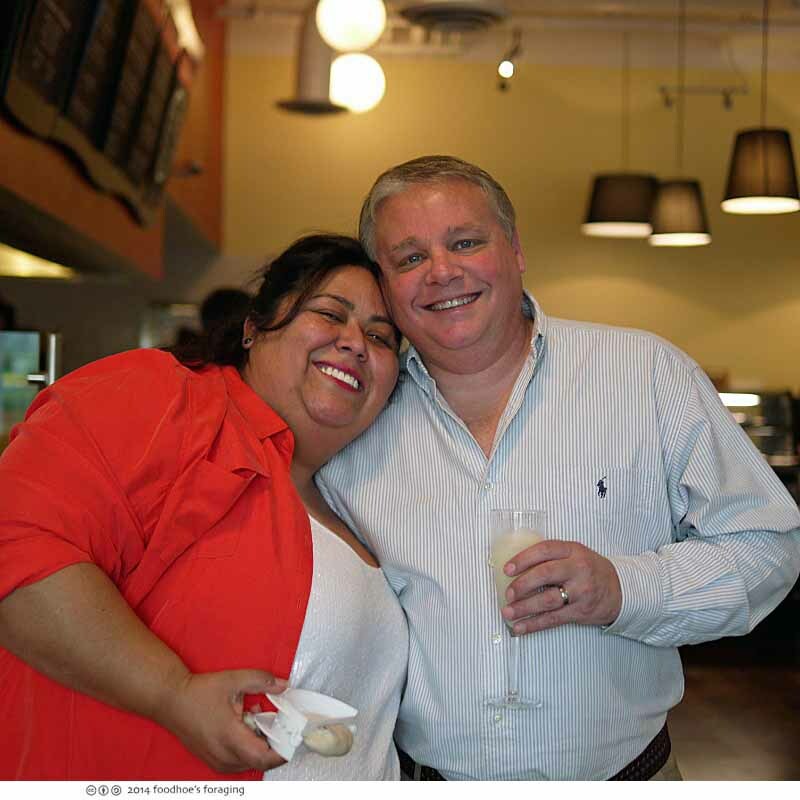 Chile native Guisell Osorio with her husband, celebrating both her birthday and the realization of her dreams! She was one of the first businesses to officially launch from La Cocina, the San Francisco nonprofit kitchen incubator that helps immigrant women build their food dreams. She started the business in 2002 and has been working with La Cocina since 2005. 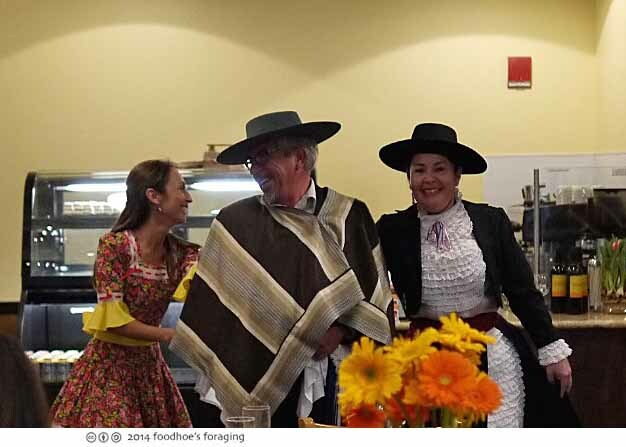 The Araucaria ensemble added joyous festivity to the celebration with traditional Chilean folk dancing. For the preview party CaliCraft Brewing Company was there pouring some of their artisan beers. I tried the Buzzerkly, a sparkling ale where beer meets wine, a vivacious quaff. 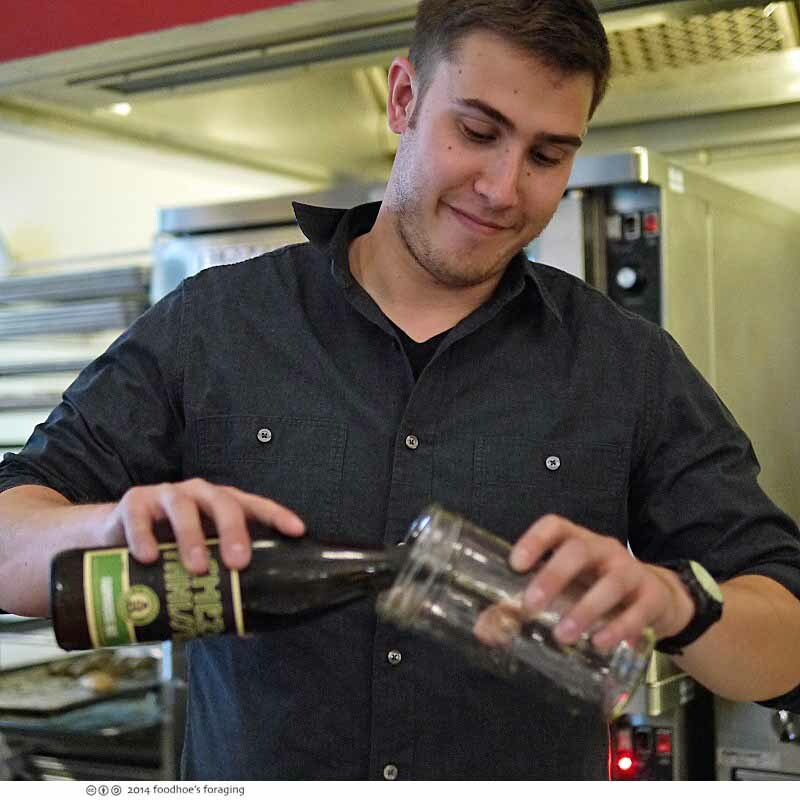 Monte pours the Chez Panisse Farmouse Ale. CaliCraft uses locally and regionally sourced ingredients, their beers showcase the flavors and taste of California. They’re going to open a tasting room in Shadelands business park later this year, another welcome addition to the neighborhood. Congratulations Chef Guisell! 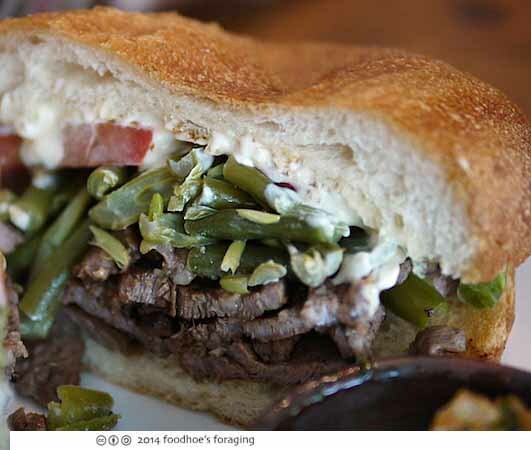 I’m so glad to add you to my lunch rotation! Oh, and did I mention that they have free parking behind the building? Gotta love the suburbs. Mouthwatering food and lovely place! When you said you were an alfajores addict, I was expecting to see more than the one photo of them! 😉 All this food reminds me of my trip to Buenos Aires. 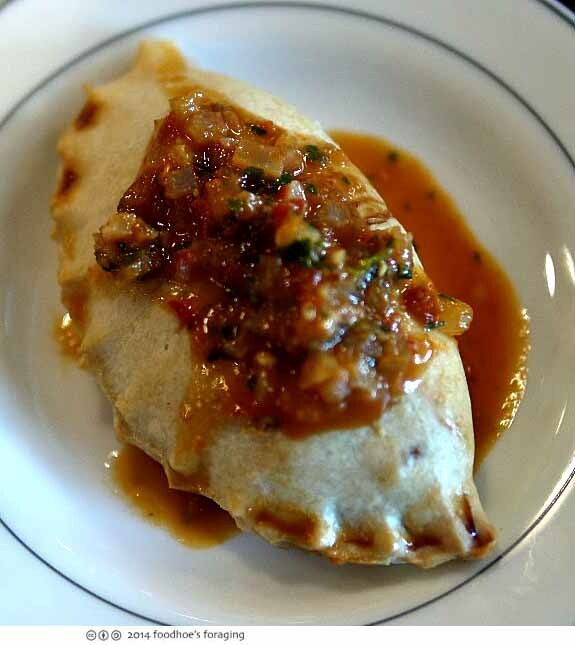 The ingredients for the shepherd’s pie is the same ingredients commonly used for the empanadas in Argentina. I think I have to go through the tunnel to check this out! i love this type of food and you’ve shown some things with which i’m unfamiliar!